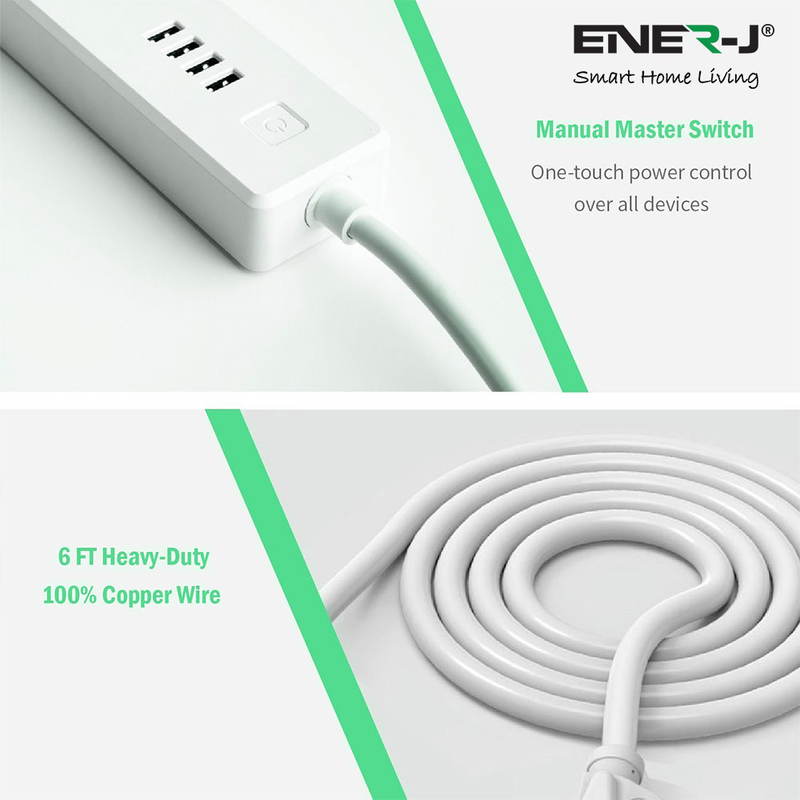 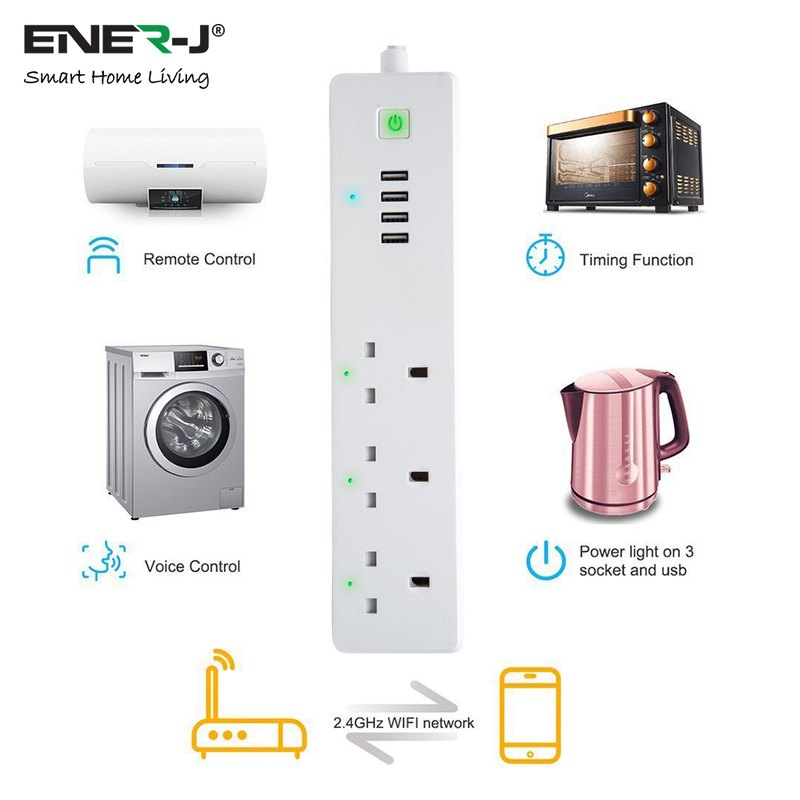 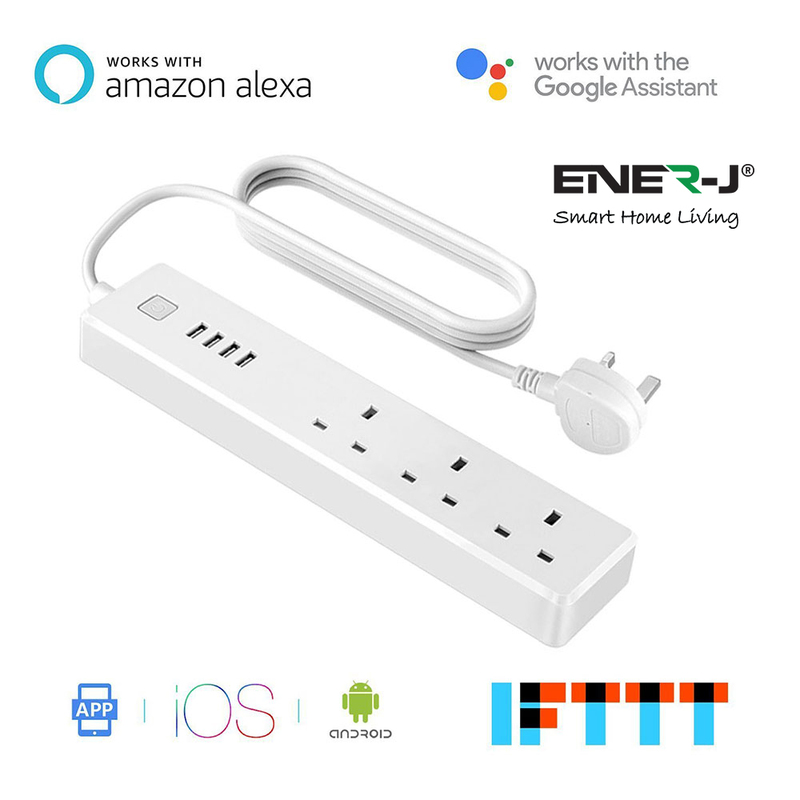 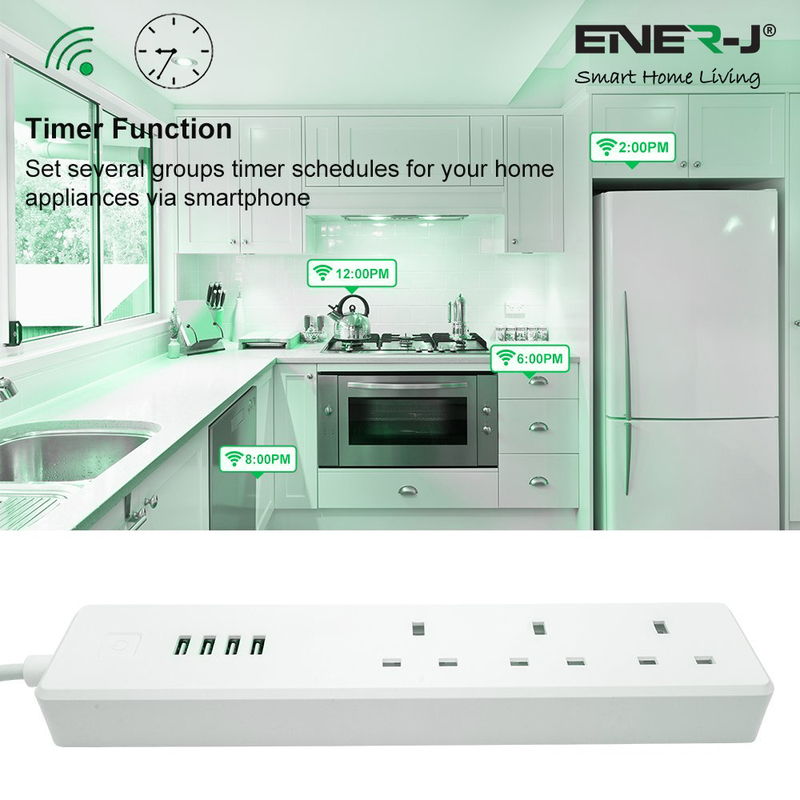 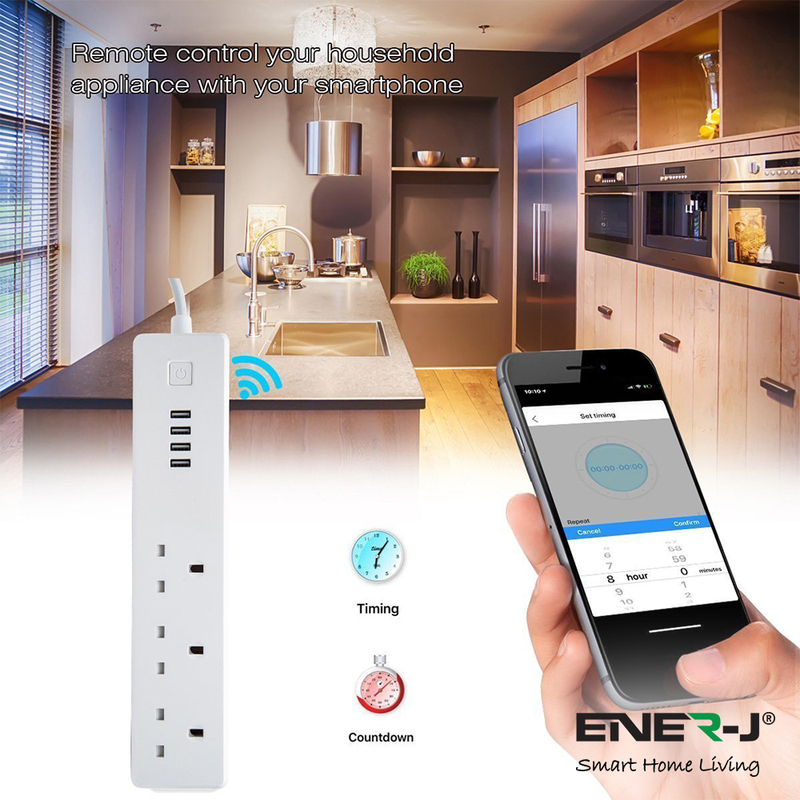 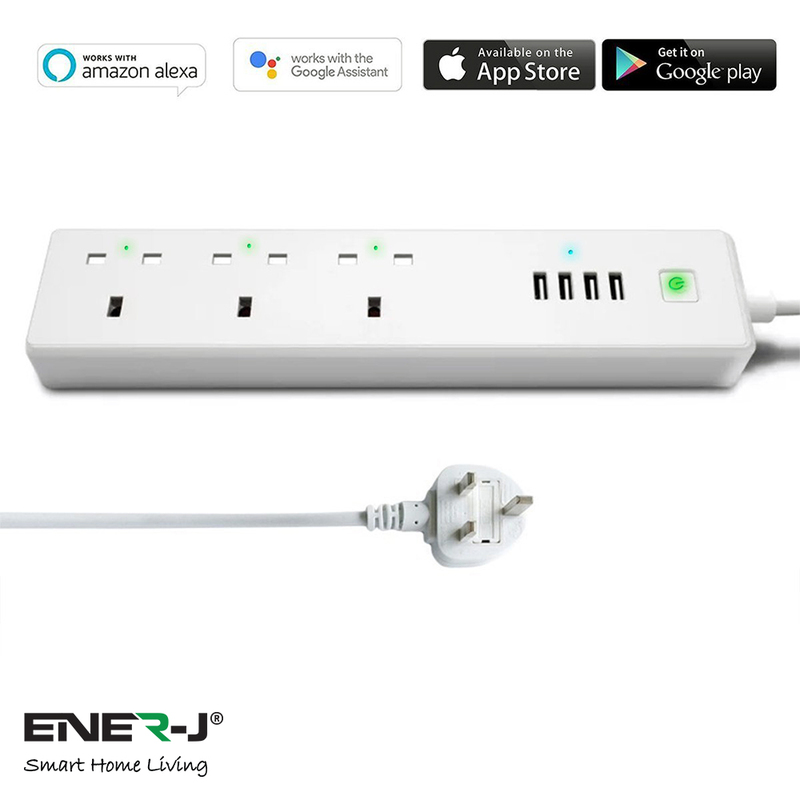 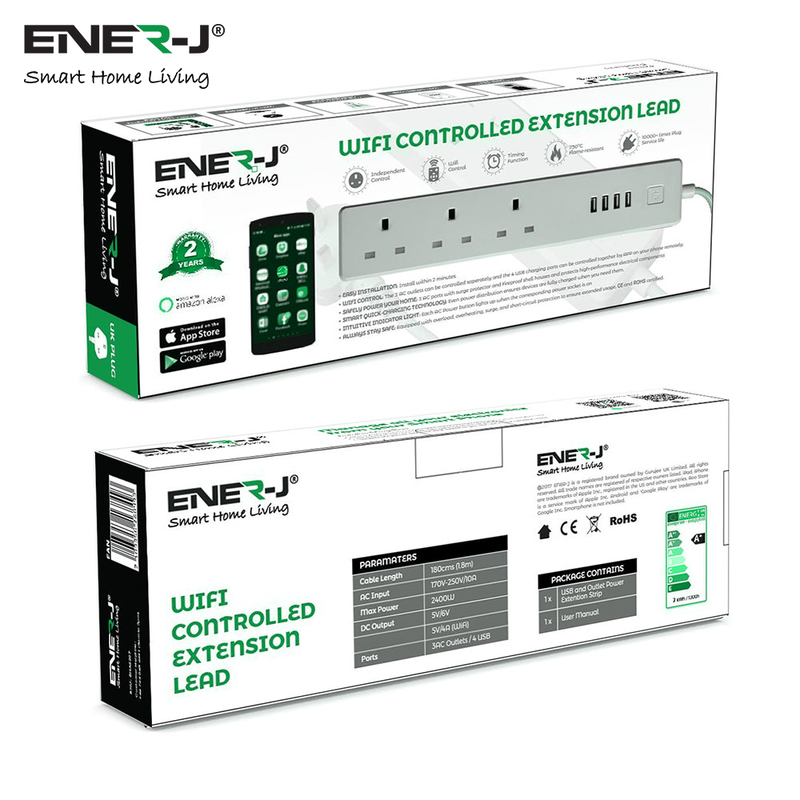 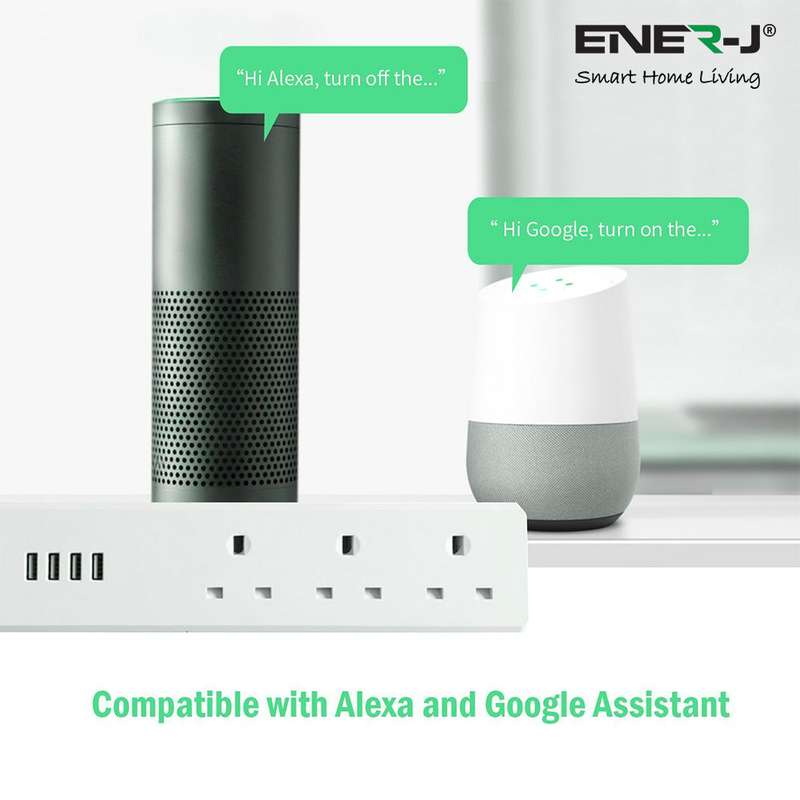 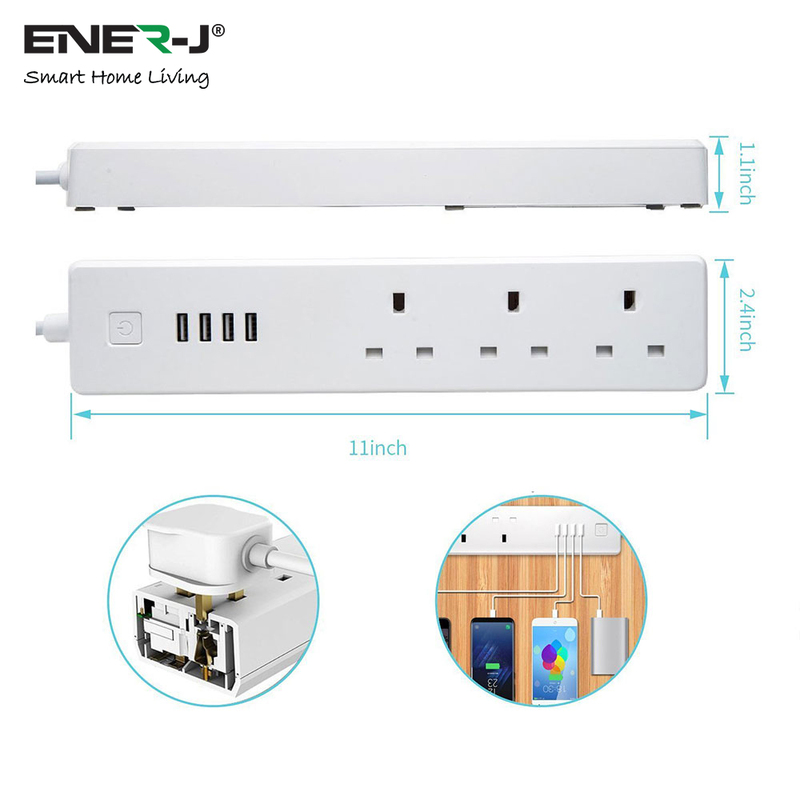 Surge Protector Extension Lead, Voice Control Compatible with Alexa Google Home and IFTTT, App Remote Control, Timing Function, 3 AC Outlets + 4 USB Ports, No Hub Required! 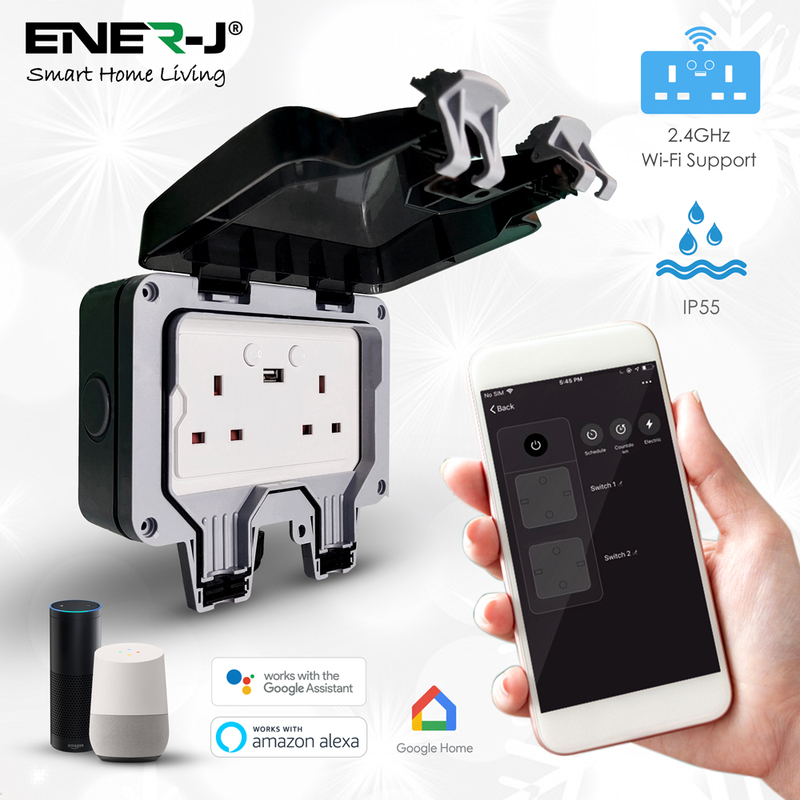 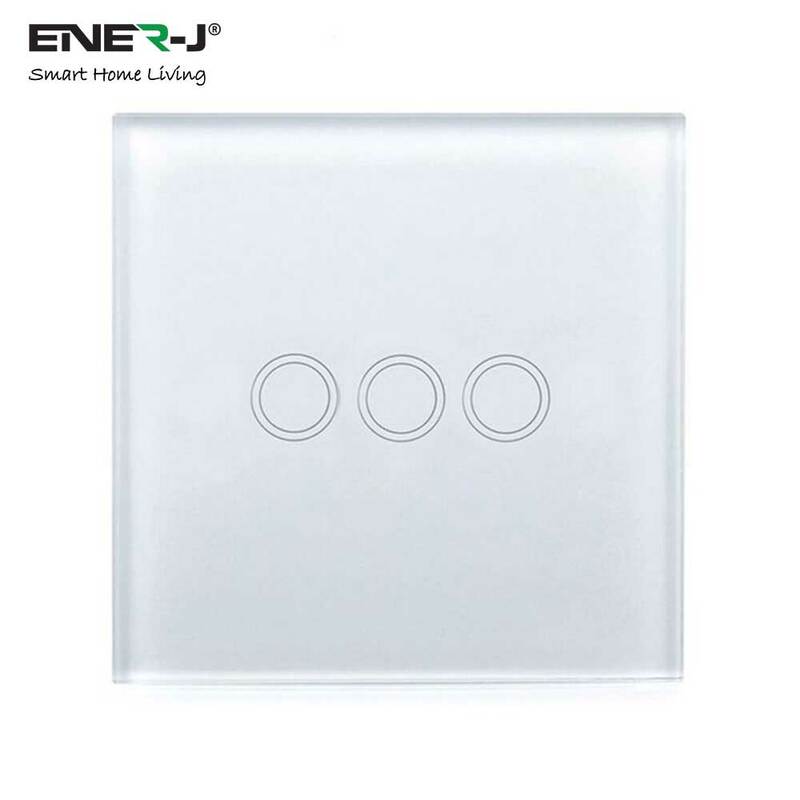 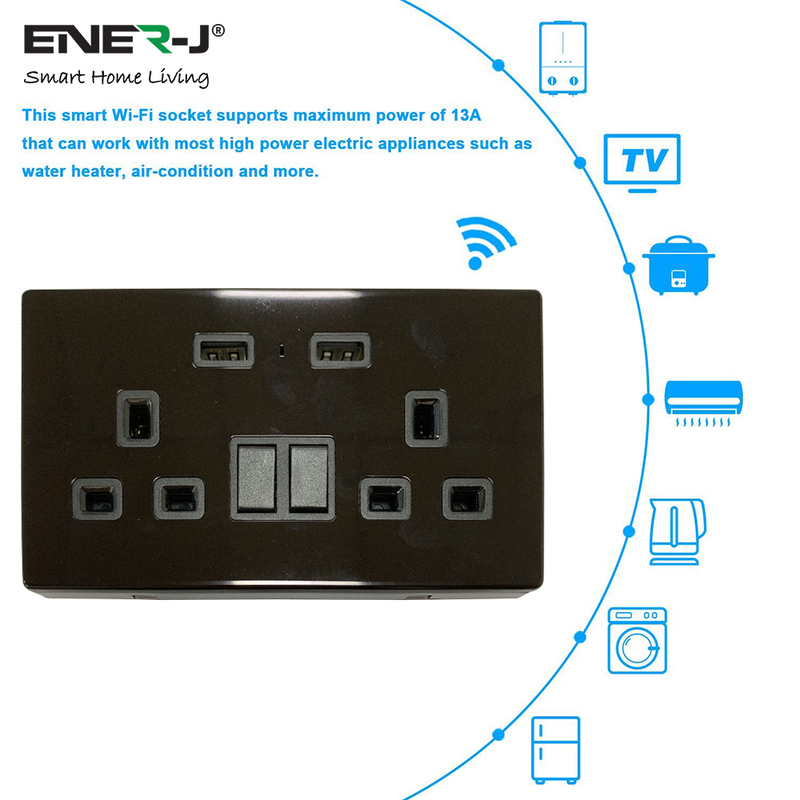 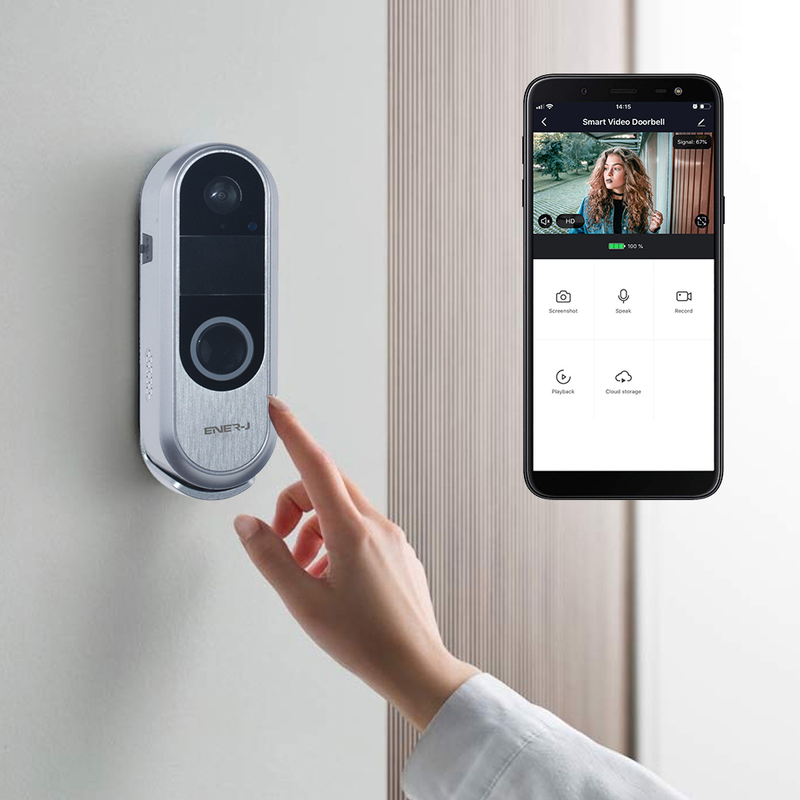 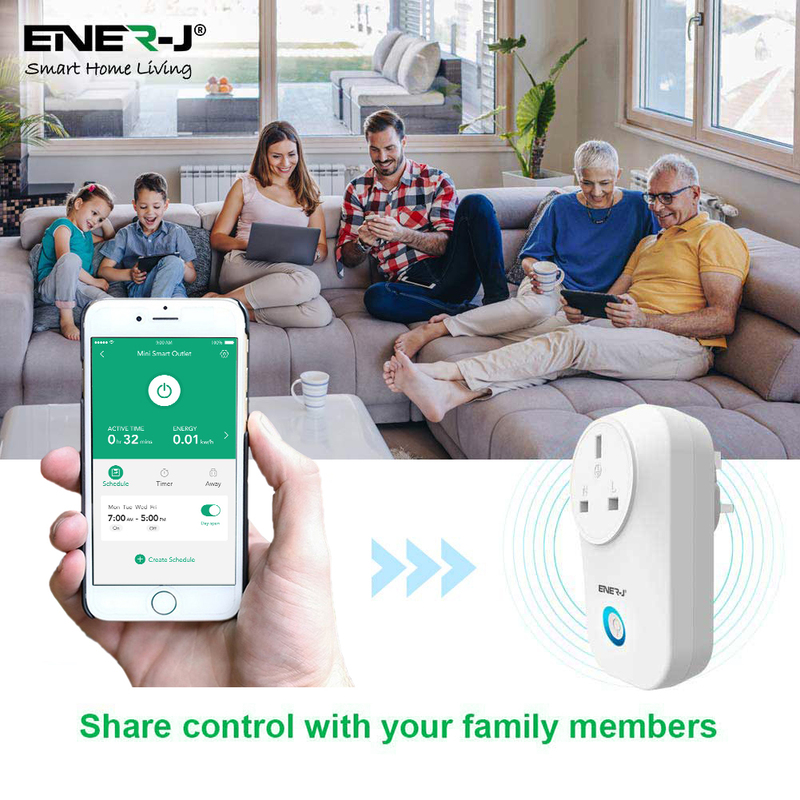 Wi-Fi CONTROL: The 3 AC outlets can be controlled separately and the 4 USB charging ports can be controlled together by APP on your phone remotely. 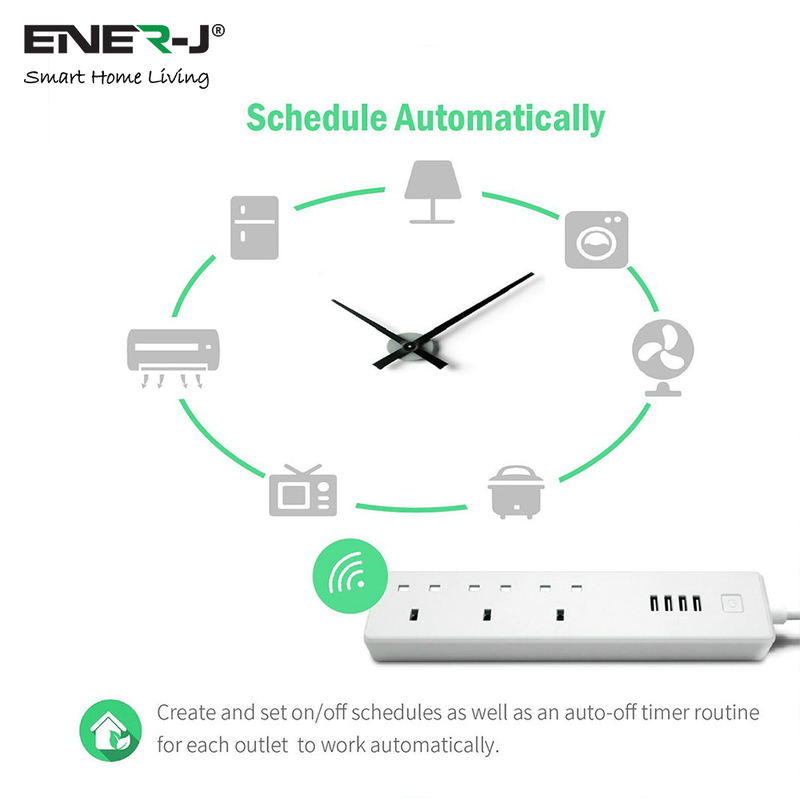 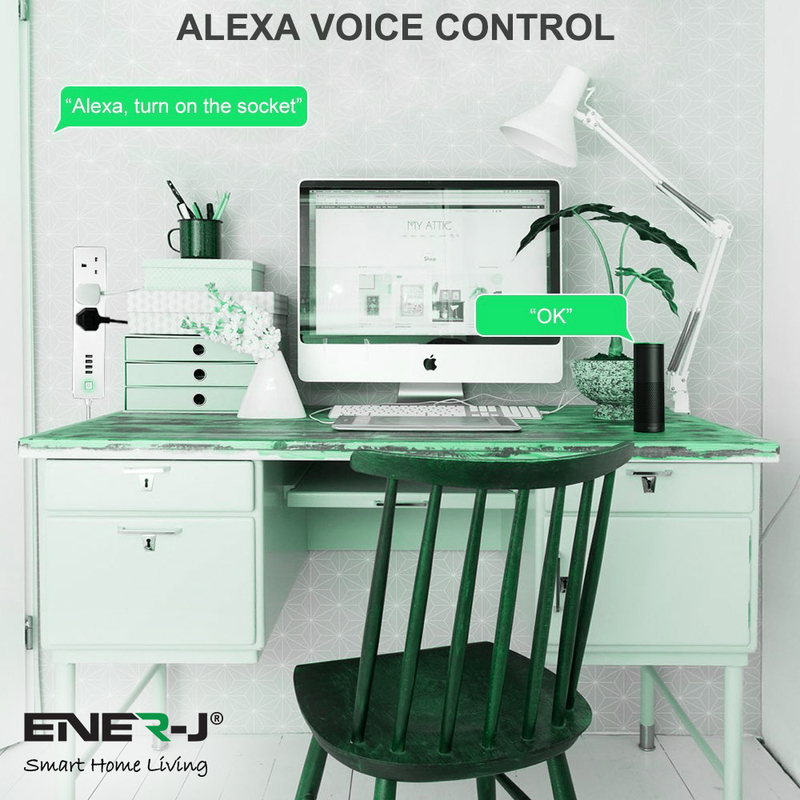 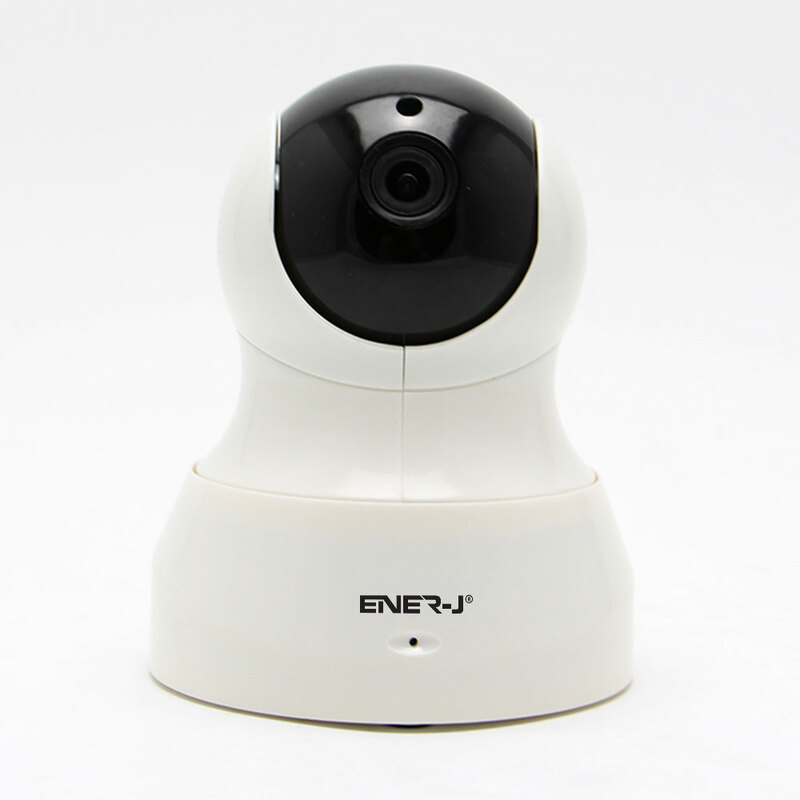 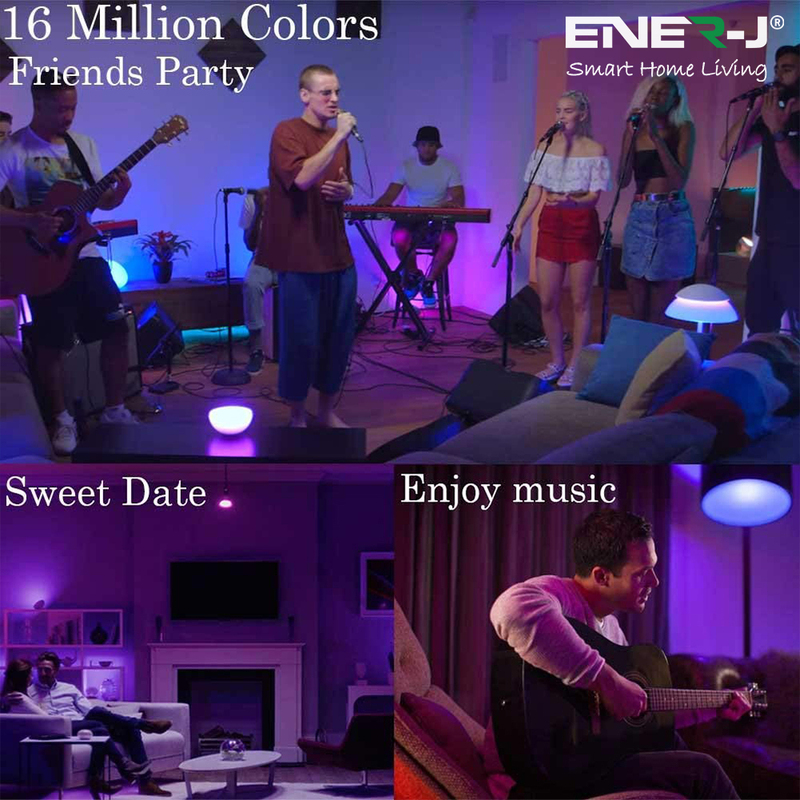 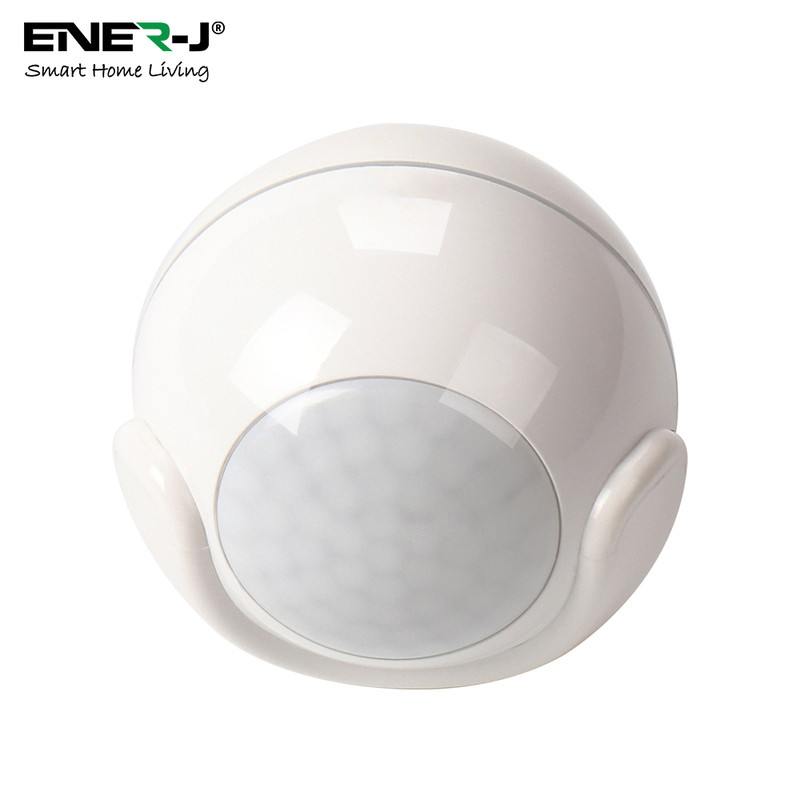 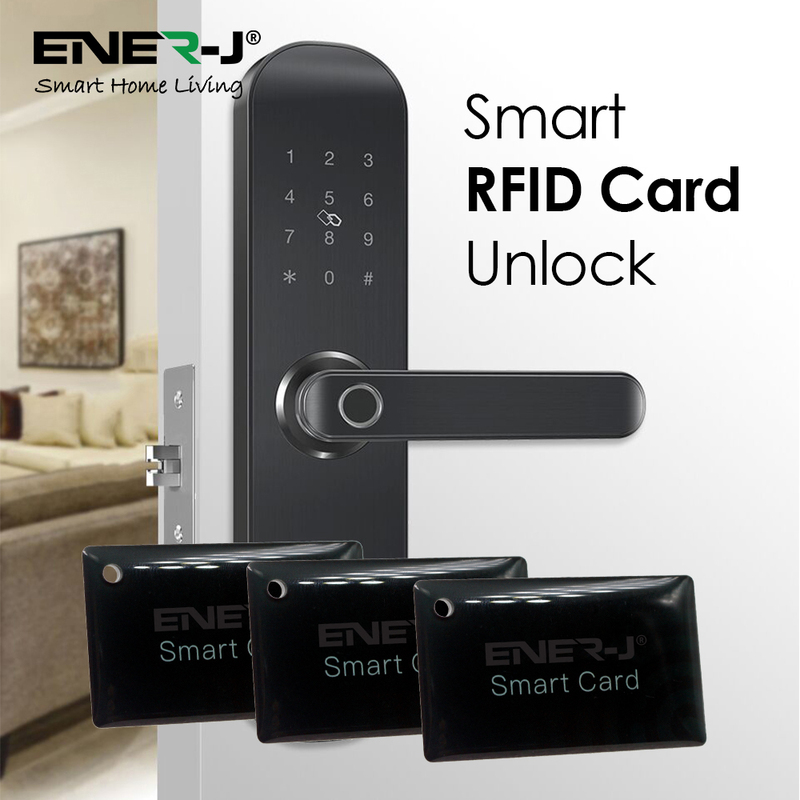 So you can control your electronic devices in your home wherever you go. 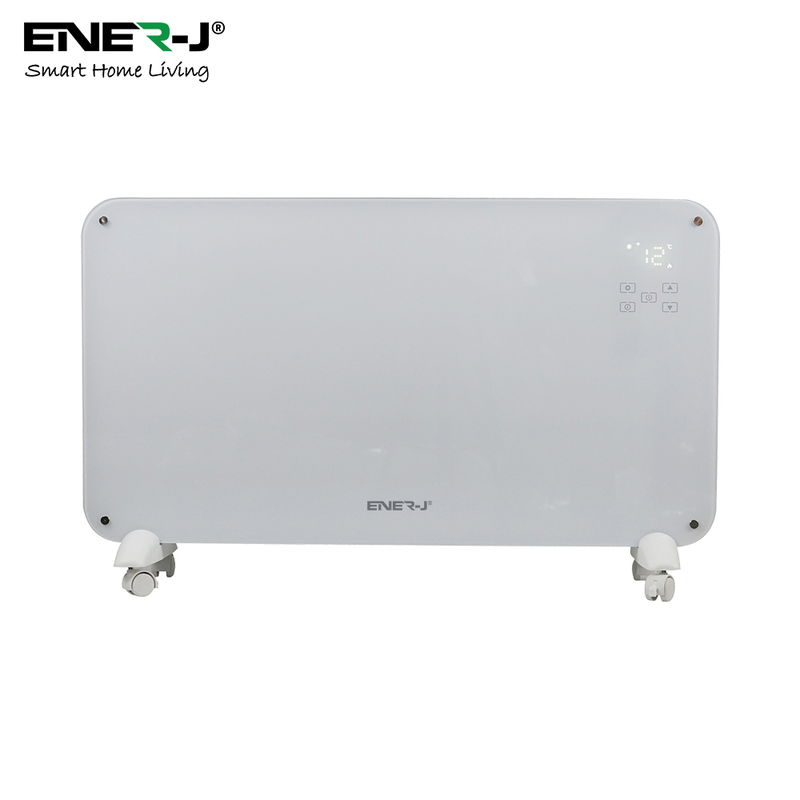 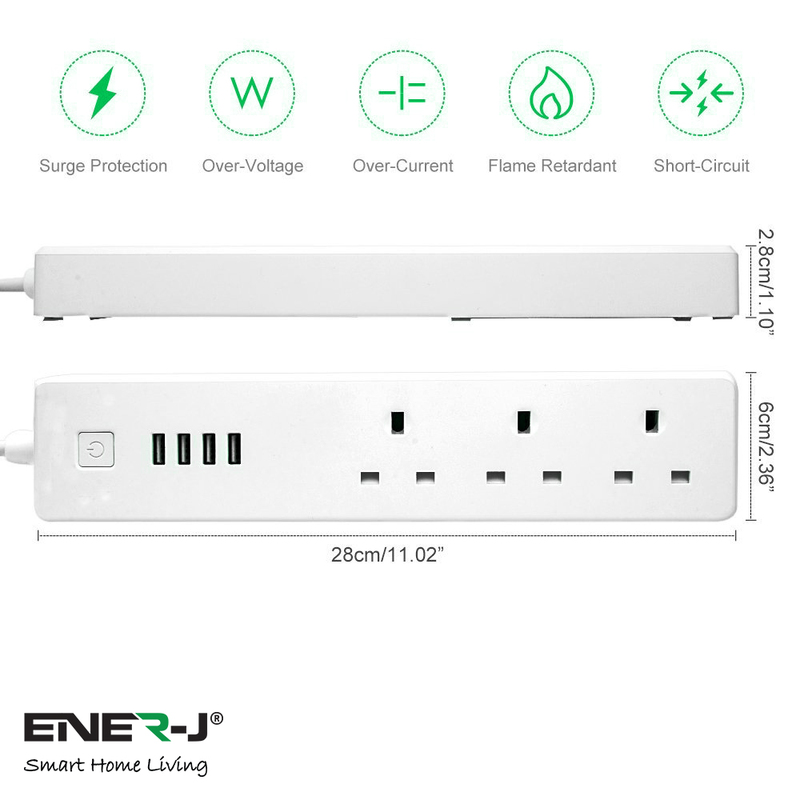 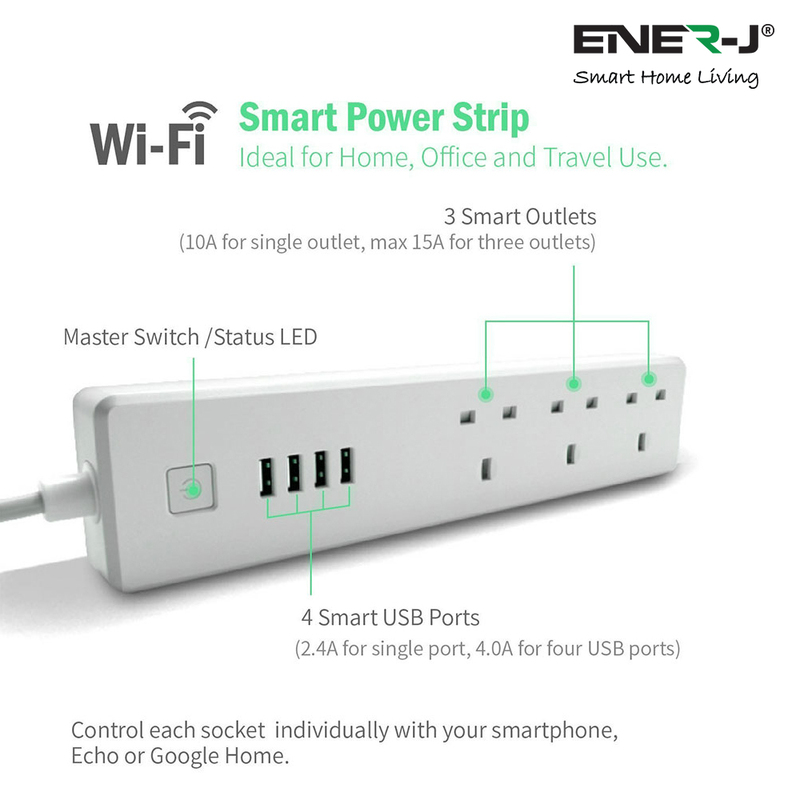 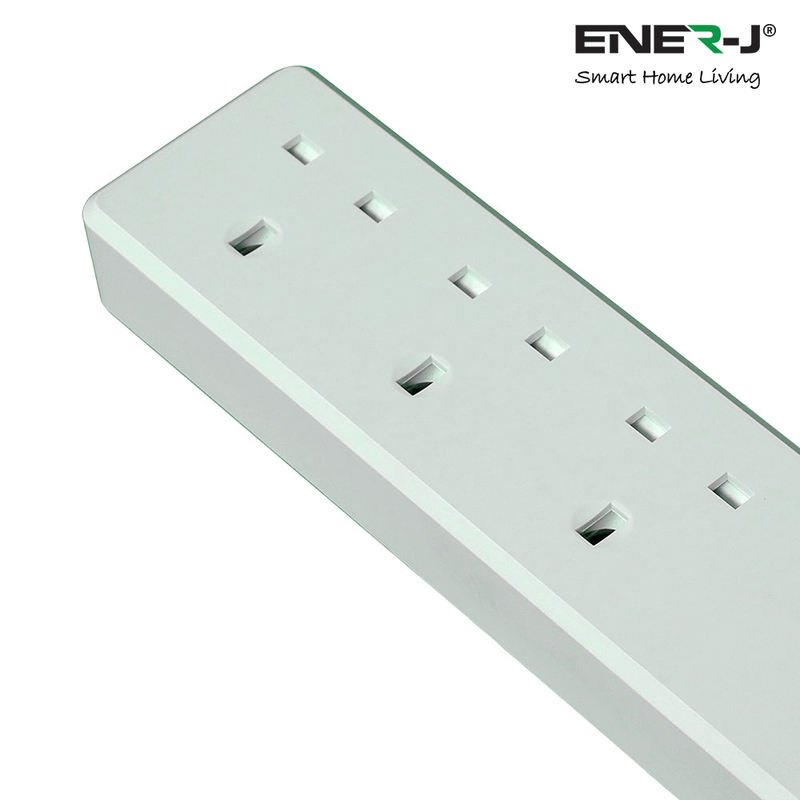 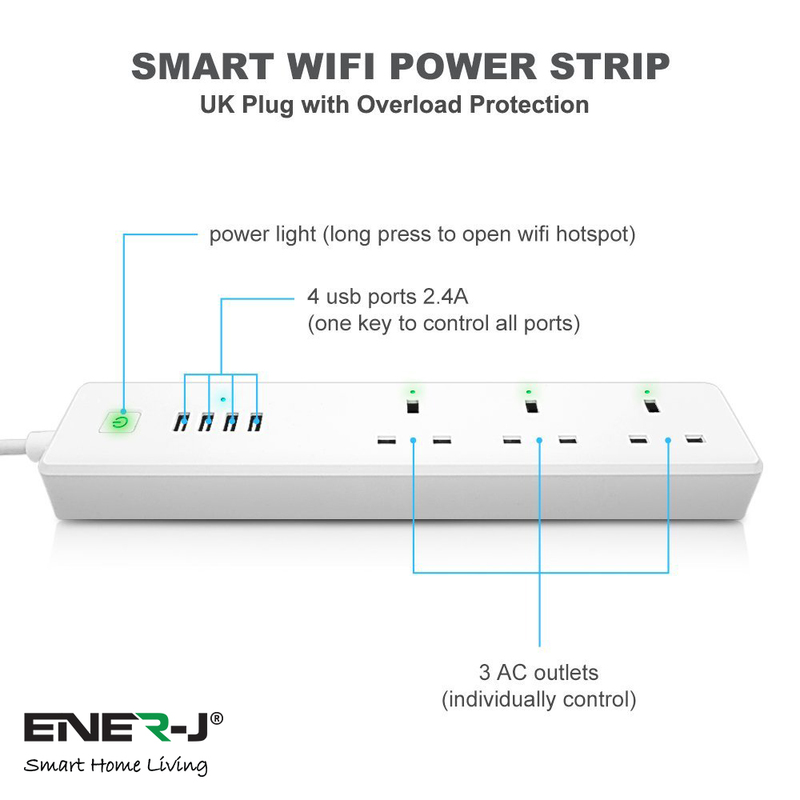 SAFELY POWER YOUR HOME: 3 AC ports with surge protector provide maximum protection for all of your home electronics. 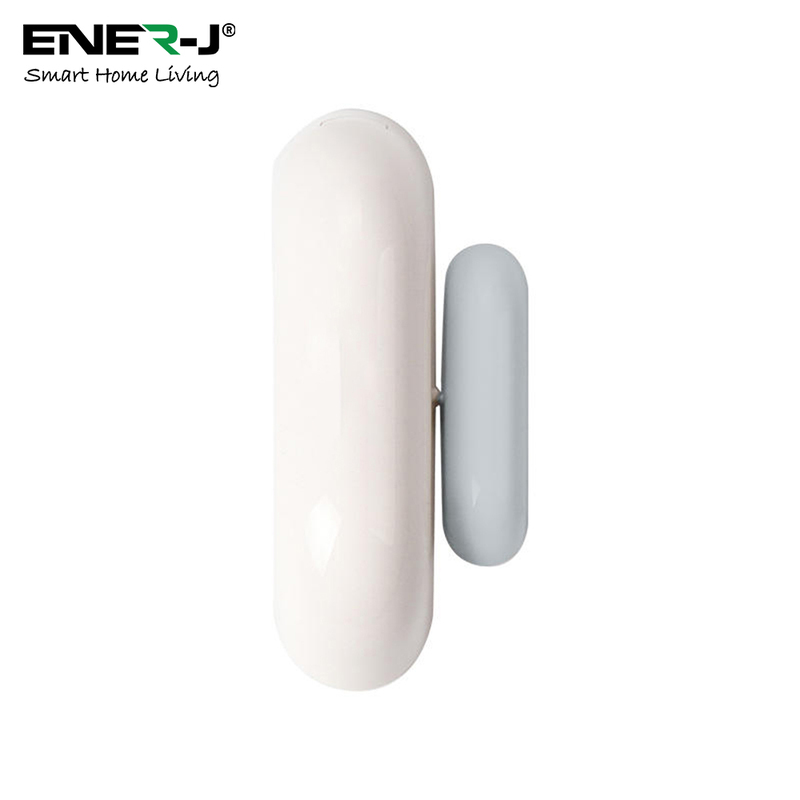 Fireproof shell houses and protects high-performance electrical components. 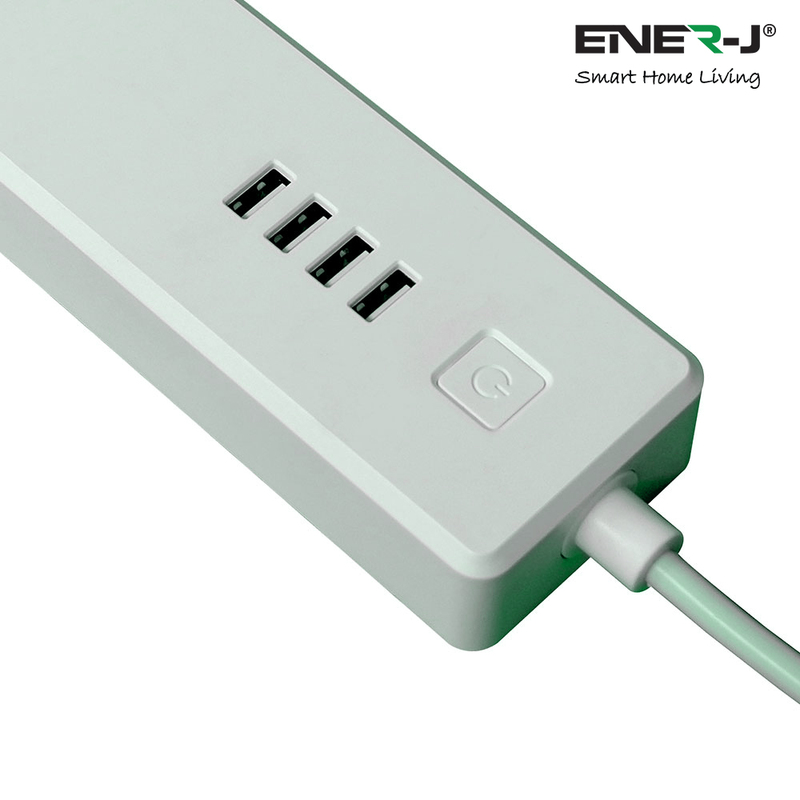 SMART QUICK-CHARGING TECHNOLOGY: Even power distribution ensures devices are fully charged when you need them. 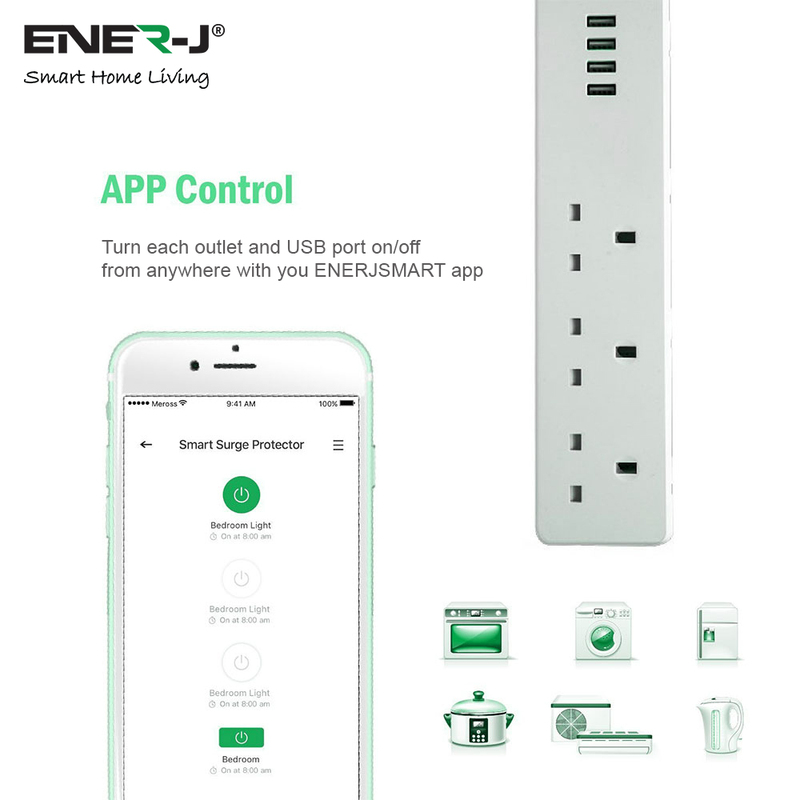 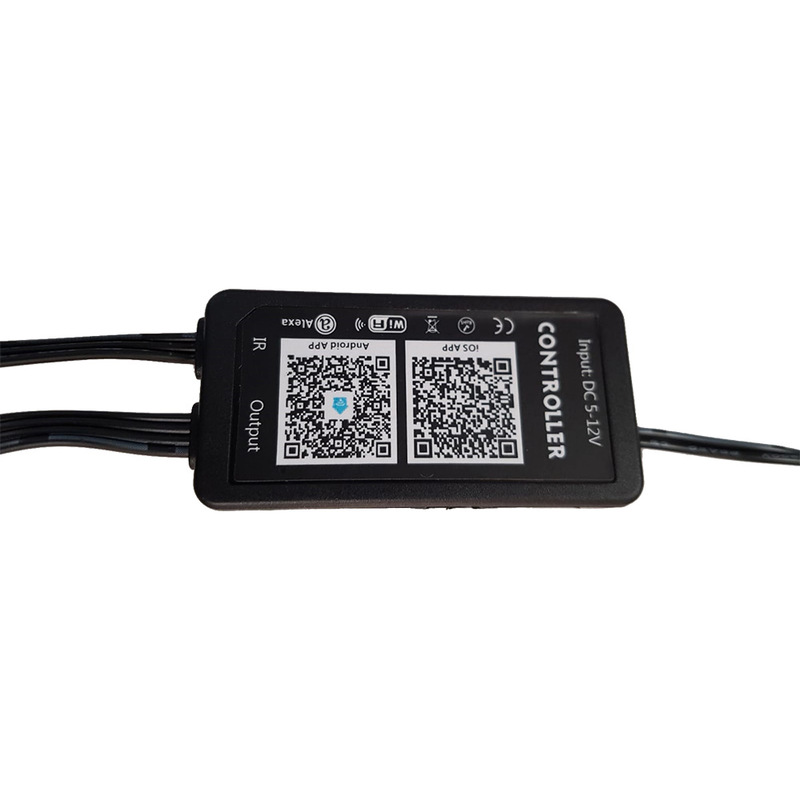 Sends the right amount of current your device needs, which allows for high-speed charging and extends the life of your electronics. 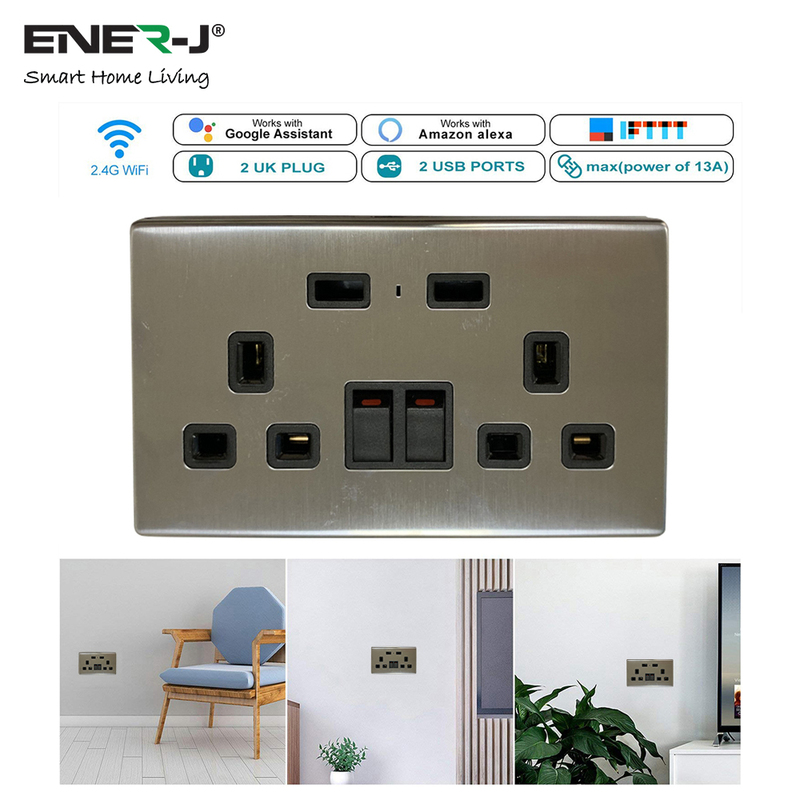 Four 2.4A USB ports available to charge your mobile devices; when all four USB ports are used at once, each port uses 1A each. 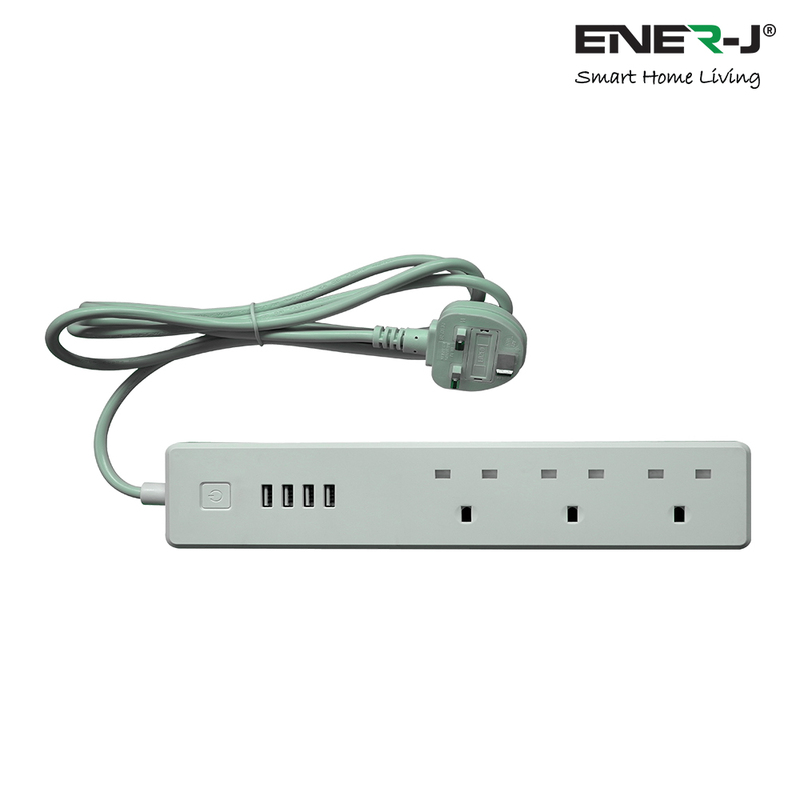 (30 Watts rated power, max current 4A). 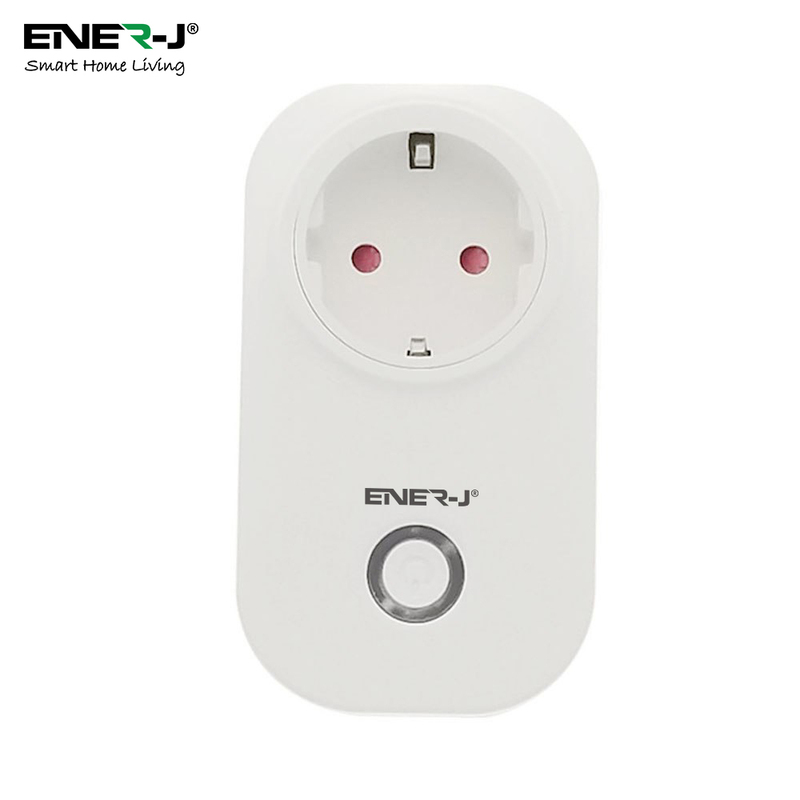 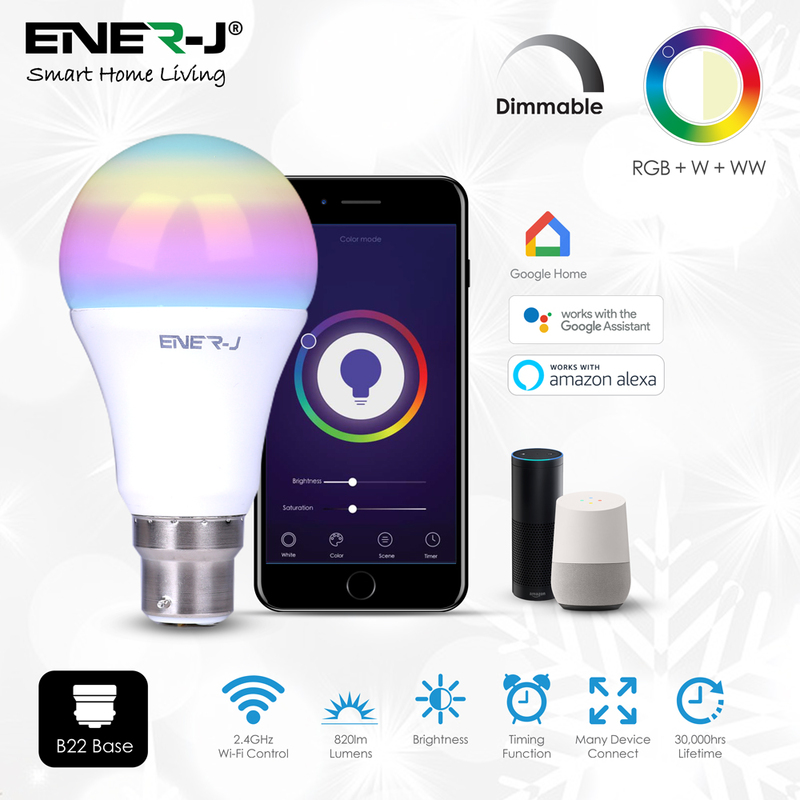 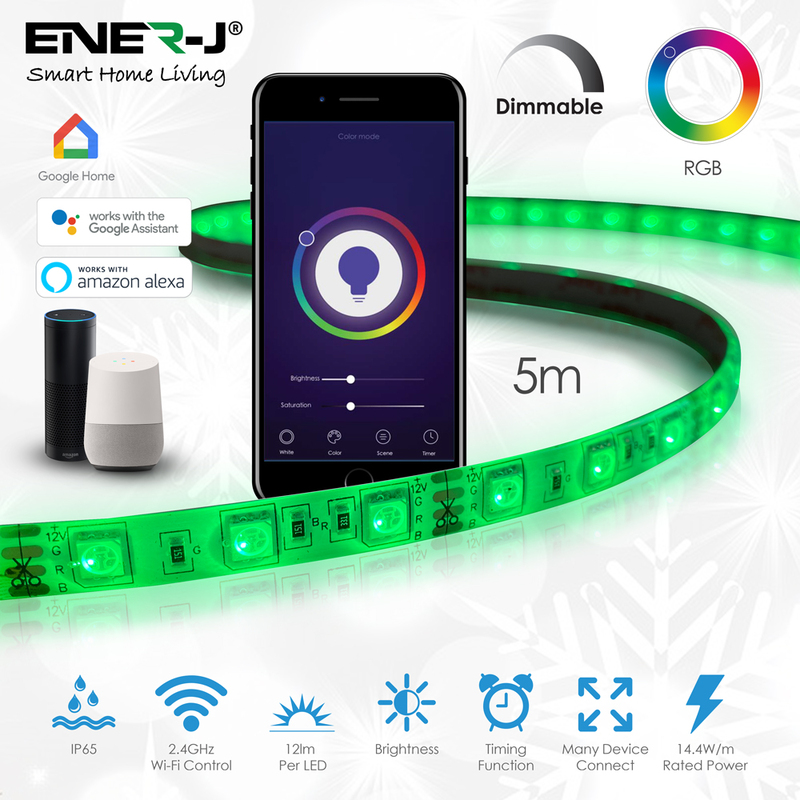 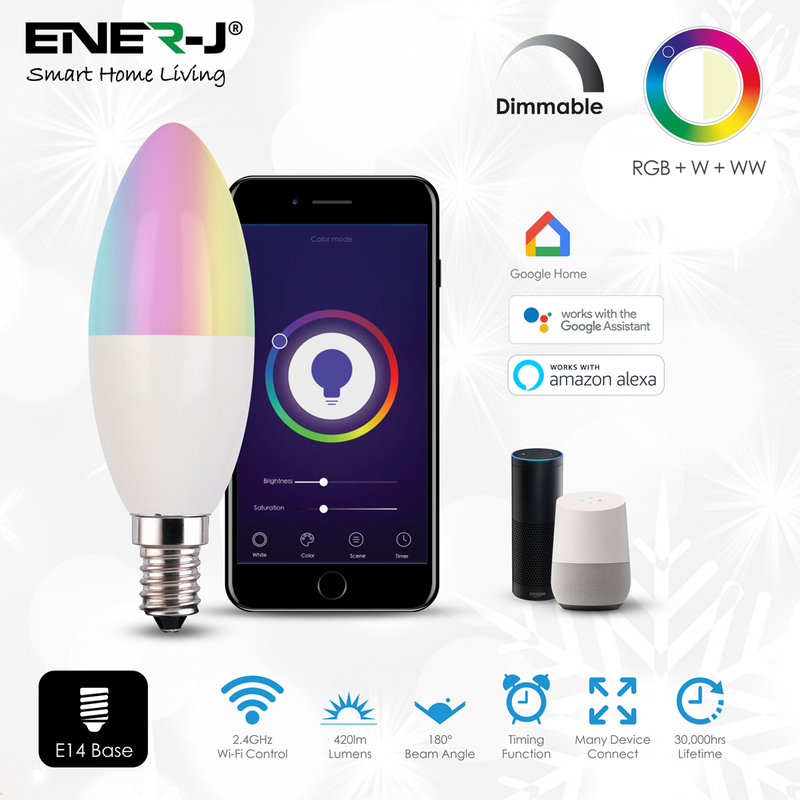 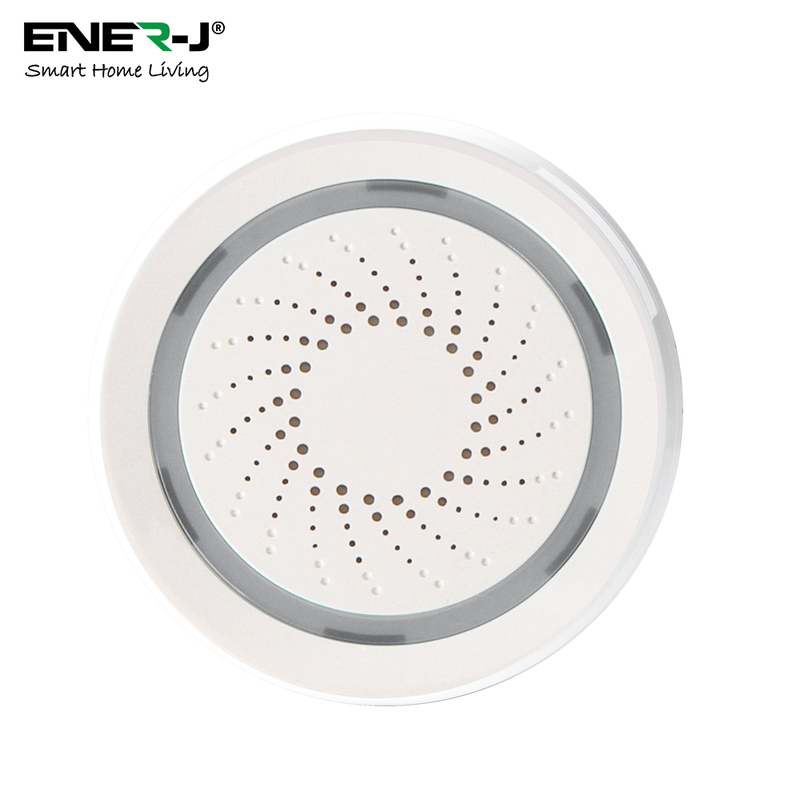 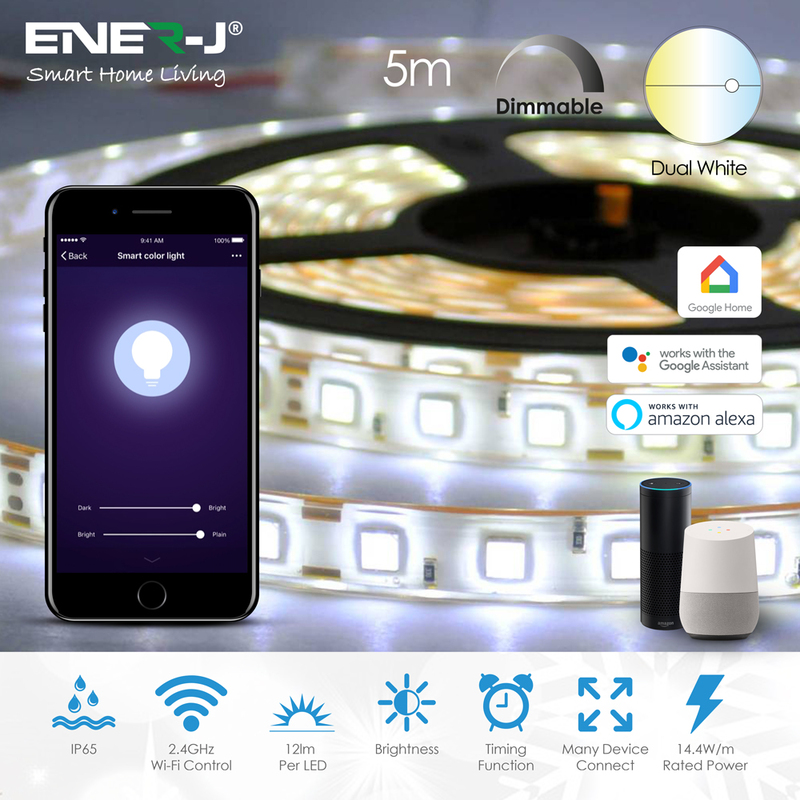 INTUITIVE INDICATOR LIGHT: Each AC Power button lights up when the corresponding power socket is on; it will also show on your phone synchronously. 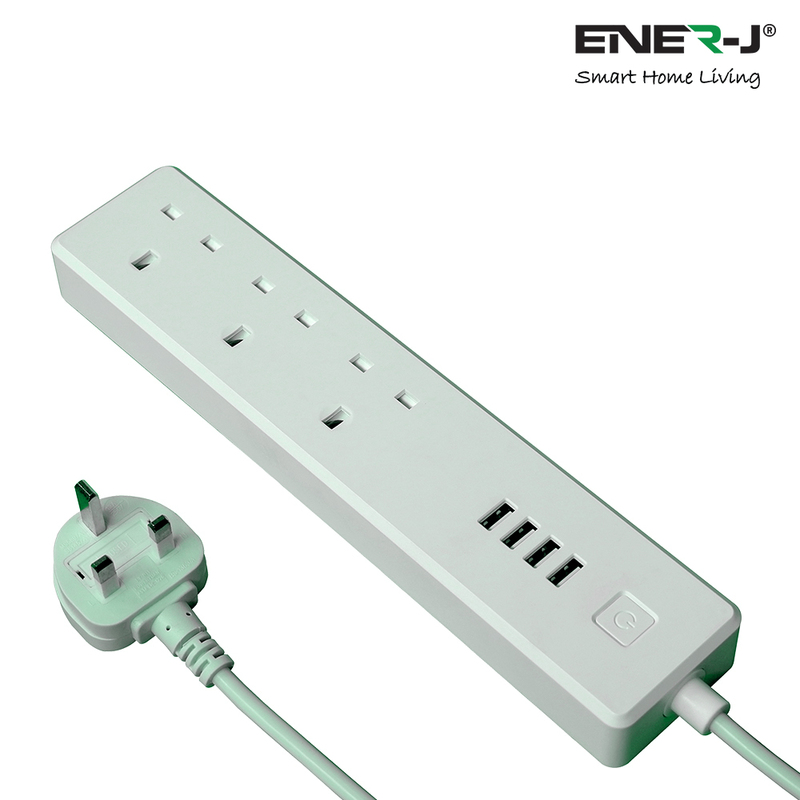 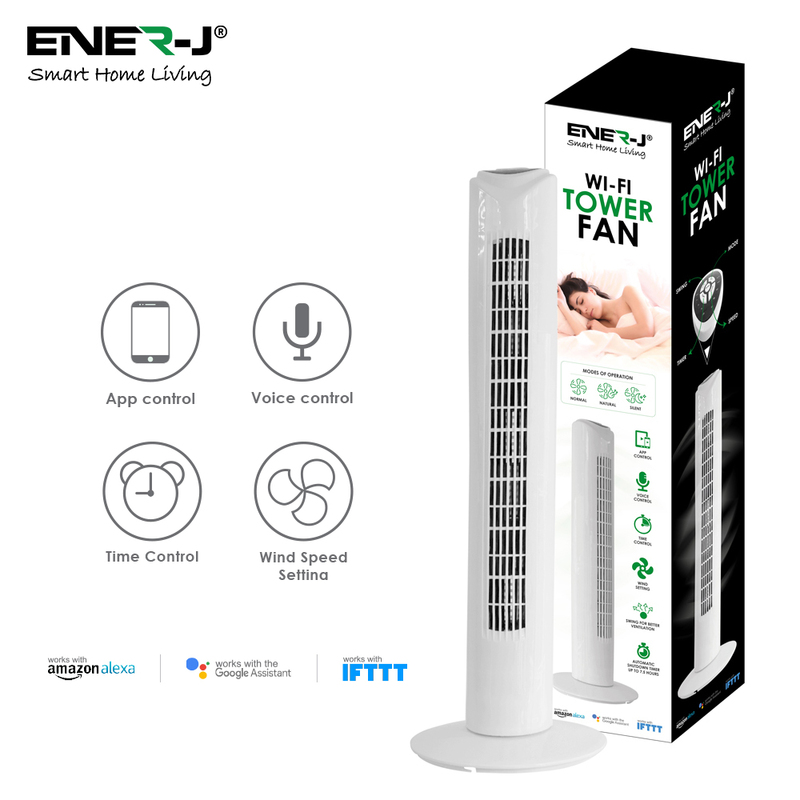 ALWAYS STAY SAFE: Equipped with overload, overheating, surge, and short-circuit protection to ensure extended usage.